One of the biggest drawbacks of touch screen phones is the fact that people have a difficult time adjusting to the virtual keyboard. While Apple has done a marvelous job with their on screen keyboard, there are still people out there who prefer to have a tactile keyboard to work with. And yet, if touch screen phones are what you want, you really have no choice. Enter Swype, a piece of software that allows users to drag fingers from one letter to another instead of having to merely tap on each individual letter. It’s easy to see how much more convenient this technology is, and how much easier people can adjust to virtual keyboards. Developed by a company based in Seattle, Swype was launched on a commercial phone in December. Now, the news is that the new Motorola Droid X is going to feature this technology. 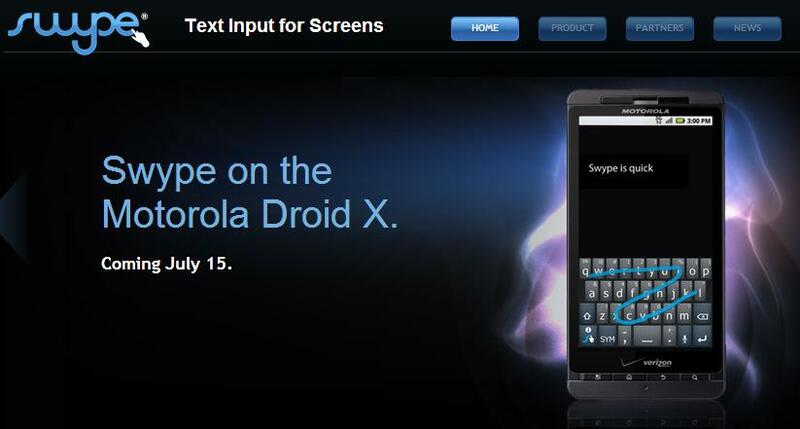 That spells good news for Swype, as Motorola is a huge player in the mobile phone industry. Indeed, Swype says that they want to be in more mobile phones – not excluding the Apple iPhone! In fact, one of the engineers has already a version ready for the iPhone, even though there are no formal talks between them. Apple has not even seen the technology for themselves as of yet. I would think, though, that with the complaints people have about the iPhone’s virtual keyboard, Steve Jobs et al. would be interested in what Swype has to offer. For now, Droid users will have the advantage in this regard. iPhone users: would you want something like this on your gadgets? Swype comes standard with the T-Mobile MyTouch, which is the phone I have. I’ve tried using it, but I don’t much like it. I’ve also noticed that when I try to type fast on the virtual keyboard, Swype takes over and types something not resembling the intended word. I just can’t get used to it. If I had known that the latest MyTouch had a sliding, actual keyboard, I would have waited since I only got my phone about 2 months ago. I’d rather have real keys. Yeah – for many people, nothing beats the real thing. I don’t think I’ll do well with a virtual keyboard as well.